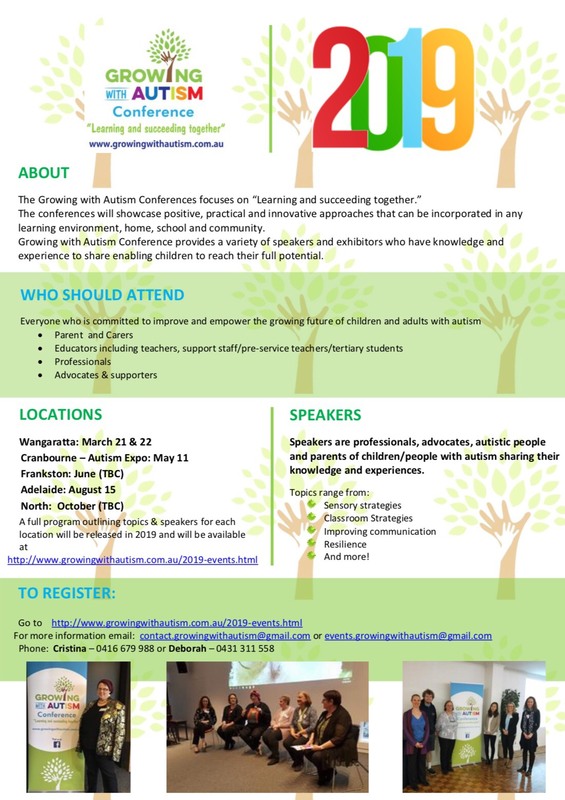 Growing with Autism Conferences showcase amazing speakers many are autistic who will share their experiences, knowledge and expertise. This conference is an opportunity for educators, parents & carers together learning positive and practical strategies with the goal to enable people of all ages on the autism spectrum to grow to their full potential. bringing a variety of expert speakers covering autism specific topics.